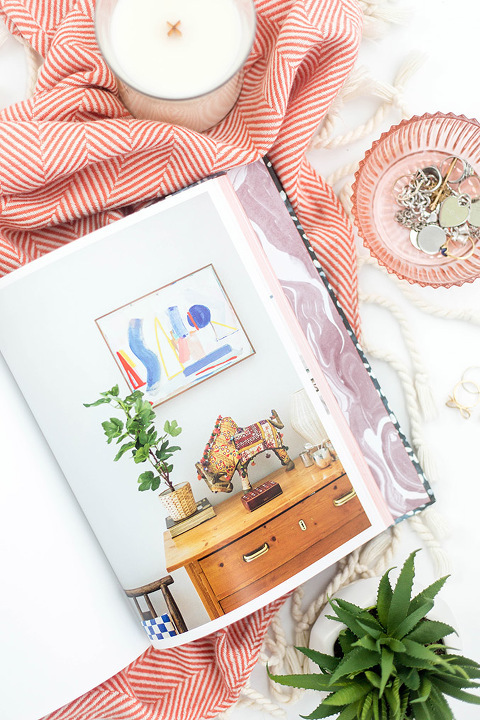 Throughout the process of putting together this design book report series for the blog, I’ve come to realize that what, I think, a lot of us consider purely decorative books actually pack a whole lot of substance. I don’t mind admitting that I used to invest in heavy hardback design books just so that I could use them to style a vignette on the coffee table, but these books are a lot more than just pretty objects. Take the new book by Rebecca Atwood, for example. 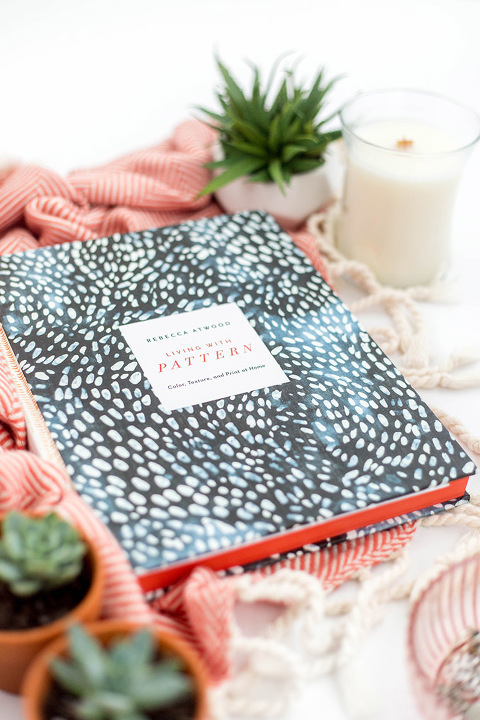 Early last month, I had a chance to peek inside Living with Pattern before it released on August 30, and while I initially thought that it would be a quick flip-through-and-done type of read, it turned out that Rebecca’s book could almost be used as a textbook by art, color, and pattern lovers! There is so, so, sooooo much information to digest, but it’s laid out in the type of easy-going, casual way that invites a good long lounge with the pages. Since I don’t want to miss a thing, I’ve been taking my time and, really, have only just begun the process of devouring the book page by page, but in case you’re looking for a quick play-by-play of what you can expect from Living with Pattern, feel free to scroll on for my initial reactions. 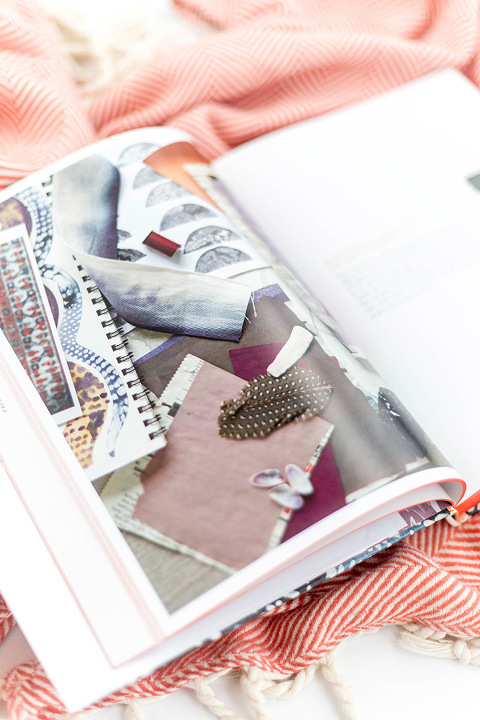 This book is perfect for anyone looking to learn more about color relationships, where to source inspiration for a room makeover, or for those who just want to understand what it’s like to be a textiles designer like Rebecca. She starts pretty much right at the beginning with stories from her childhood on the coast to her current big city lifestyle, and goes on to explain how her shifting views through the windows of her homes have influenced the patterns and designs that she comes up with now as a working designer. Next, Rebecca lays out the idea of color relationships and how they can combine to create patterns, before she moves on to real-life home tours, pattern pairing styling advice, and even a few DIY projects. 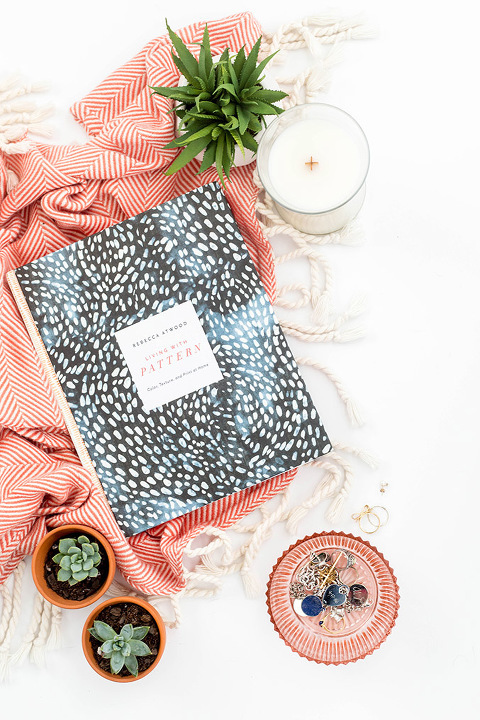 She encourages us to skip around from section to section based on our needs, so this is a great book for anyone looking for a resource to inspire you through all sorts of homemaking moments—from a full renovation, to a simple weekend craft project. Even though I’m still working my way slowly through the first section of the book, I’ve already learned so much about pattern. I don’t know about you, but I had no clue that so much went into pattern making, so this has been a real eye-opening read for me. It’s also interesting to think that our family lives as kids could have such an impact on our design preferences. Rebecca mentions finding color and texture inspiration from her memories while on the Cape as a little girl, so it was fun to consider later on the types of patterns I could come up with from my own childhood here in Virginia. I was sort of fascinated by the color palettes that Rebecca (literally) laid out in the beginning of the book in her “Understanding Color” section. It’s funny to think that we could all look at the same collections of colors and each come up with a pattern or room design that feels uniquely fresh to our own personal aesthetic. If you’ve read the book, which color palette is your favorite? I’m kind of loving the inky indigo, peach, and purple palette that Rebecca made on pages 44 and 45 (pictured below). If you’ve read (or plan to read) the book, be sure to leave your own review in the comments! And don’t forget to tag us in your social shares and use the hashtag #DGDonmycoffeetable for a chance to be featured.